The Diamond Cutting Tools are manufactured by sinter hot-pressing production line. It's Circular Saw Blade, designed for professionally cutting and nondestructive grooving on ceramic, tile, porcelain, and you also can use it for cutting marble and granite. 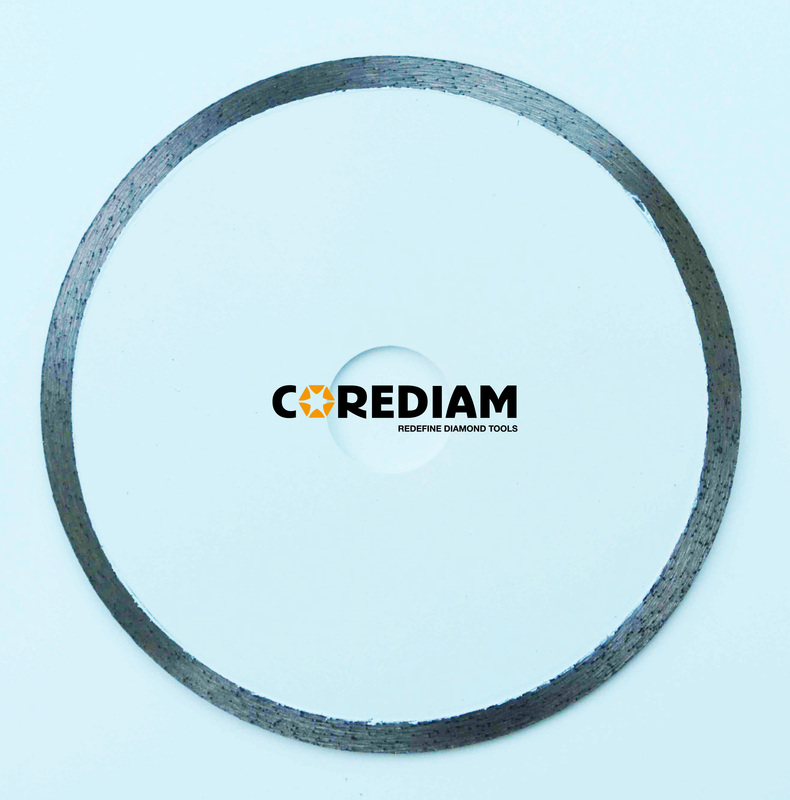 The Diamond Saw Blade's thin continuous rim segments are soft bond, which can provide very fast, precise, smooth cutting with minimun chipping. The tile will have a very clear edge during cutting job. Our main product ranges include Diamond saw blade, Grinding Cup Wheel, Core Drill Bits and Diamond Wire Saw. The main product ranges include laser welded saw blade, brazing saw blade, sinter hot-pressed saw blade, diamond grinding Cup Wheel , laser welded Core Drill , Diamond Wire etc. The advanced automatic pressing, sintering, German Dr.Fritsch full-automatic laser welding machinery have been adopted in manufacturing lines, and all the products are approved by rigorous inspection and quality control process. Corediam products are also authenticated by Germany MPA standard and European Union EN 13236 standard. Looking for ideal Sinter Hot-pressed Tile Blade Manufacturer & supplier ? We have a wide selection at great prices to help you get creative. All the Sinter Hot-pressed Cutting Ceramic Tile Blade are quality guaranteed. We are China Origin Factory of Sinter Hot-pressed Cutting Porcelain Blade. If you have any question, please feel free to contact us.